You are here: Home » Batman is back! Bring home the year’s funniest family adventure when “The LEGO® Batman Movie,” arrives onto 4K Ultra HD, 3D, Blu-ray, DVD and VOD on June 19th and Digital Download from May 30th. 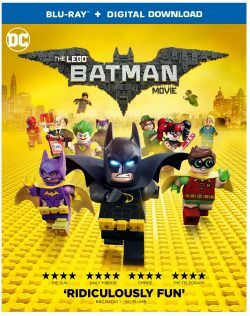 The film features Will Arnett who reprises his starring role from “The LEGO Movie,” as the voice of LEGO Batman, aka Bruce Wayne.